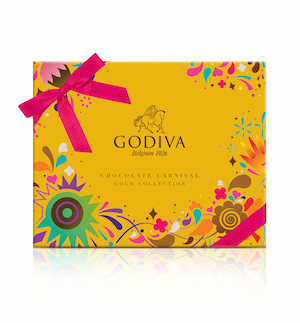 Godiva’s focus at the Summit of the Americas will be on the key pillars of its growth plan. The major initiatives for 2019 include the addition of the new Godiva Chocolate Domes, the introduction of the limited edition Godiva Carnival Collection and the further expansion of its business into food and beverage (F&B). 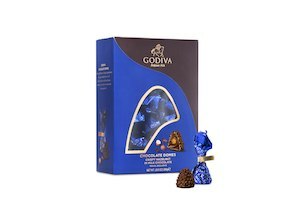 Godiva Chocolate Domes were launched in December 2018 and are available in a travel-exclusive 28-piece gift box. The company says the first signs of success are promising, as the product gets wider distribution and is promoted in-store with sampling, special offers and high profile promotions. Godiva Chocolate Domes has a crunchy chocolate and nut wafer shell with a smooth, creamy milk chocolate filling with a caramelised hazelnut at its core. Starting April 2019, Godiva is launching Chocolate Carnival, an 18-piece limited edition created by Godiva’s Chef Chocolatiers, designed to capture the energy and sensations of the world’s most exciting carnivals. 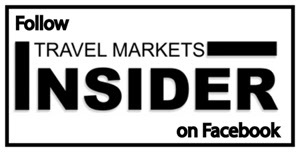 The Americas region continues to be a priority market for both the domestic and duty free business for Godiva, says Channel Marketing Director Leen Bae ten. The company has announced an ambitious growth plan to “5X” its business by 2024, driven by the opening of 2,000 Godiva Cafés around the world. The first location of its new concept opened just before Valentine’s Day in New York at Penn Station. Godiva also released a new menu exploring an offer beyond chocolate, including sweet treats, savory bites and its signature croissant waffles Croiffles, grab-and-go goodies like muffins and cookies, and specialty beverages like the Godiva Mocha. The next Godiva Café is scheduled to open on Lexington Avenue, New York in early April, with more to come in the coming year both in city locations and in airports.